One area of a long distance move that is often overlooked is getting your vehicles from one place to another. If you are moving in to the Miami area from another location around the country, it can be a challenge to bring your cars along with you. 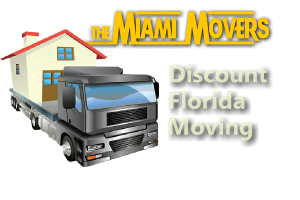 Don’t let your move get too close before you figure out how you are going to get your cars to Miami along with the rest of your stuff – get started right away deciding on your plan for this part of the moving process. In general, there are three options for moving your automobiles to your new home. Each of them can work nicely depending on your needs and your budget for the move. Pick the option that is best-suited for you and your family and you can have another piece of the moving puzzle put into place. This is probably the most-popular option for getting a car to a new location during a move. You can hire a car shipper to load the vehicle onto a truck and deliver it to your new home. One advantage of this method is the sheer convenience – the shipper will handle the moving of the automobile and you will be able to simply wait for it to arrive at your new home in the Miami area. On the downside, this can be a costly method, and depending on how far you are moving, might not be feasible for your budget. 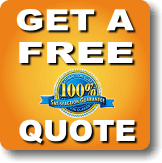 Call a couple different car shipping companies and request quotes based on the distance you are moving and the type of vehicles you need moved to find out exactly how much it would cost you. If you don’t want to pay for a car shipping service, you could find someone willing to drive your car to your new home for you. Obviously, you will need to find someone reliable and trustworthy – possibly a friend or family member who wants to go on a trip and can fly back home once they drop off the car. This method should be less expensive, as you will only need to pay for gas and whatever rate you agree to with the person driving the car. Naturally, the cheapest way to move your car is simply to drive it yourself. This method won’t cost you anything more than the gas you need to purchase, and your time (and hotel costs if you need to stop overnight). If you have the time available in your schedule to make the drive, it can be an enjoyable experience and an adventure that lets you see new parts of the country you haven’t visited before. If you are going to opt to drive the car to your new home in or around the Miami area on your own, make sure to build this process into your schedule so you don’t run out of time when moving day arrives.